Ruby's Inn is a full-service hotel with a restaurant, grocery store, gift shop, gas station, and automobile service shop. 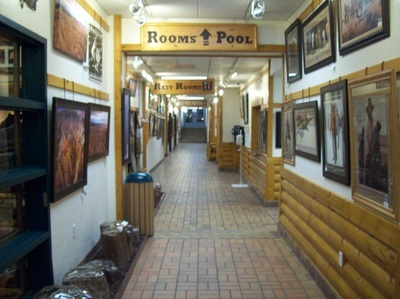 For more details about the amenities Ruby's Inn offers, click here. 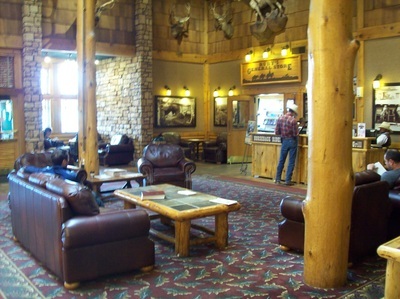 Ruby's Inn also has a variety of winter activities to participate in such as ice skating, cross country skiing, sleigh rides, and more! Check out the Ruby's Inn winter activities here. Ruby's Inn is offering convention rates for BryceCon. Rooms at Ruby's Inn will be available for $51 per night in the Main Lodge (no pets permitted), $42 per night in the outer lodges (pet friendly), and rooms at The Bryce Canyon Grand are $89 per night (no pets permitted). The Grand is owned by Ruby's Inn and includes a free buffet breakfast (only available for The Grand guests). To reserve a room at Ruby's Inn, click on Ruby's Inn. For a room at The Grand, click on The Grand. The convention runs from Friday, January 18th through Monday, January 21st. You will need to adjust what nights you'll be staying on the reservations page.